For underrepresented students, it can be difficult to find mentors and role models in their academic fields with whom they can connect. This can be especially true at larger universities, where the prospect of identifying a mentor among hundreds, if not thousands, of faculty and staff can be overwhelming. 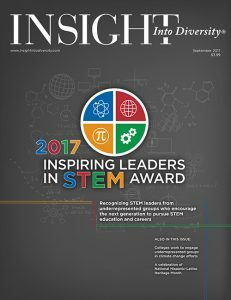 At the University of Wisconsin-Madison (UW-Madison) — home to more than 43,000 students and approximately 2,500 faculty members — the task of finding a mentor in science, technology, engineering, and math (STEM) disciplines has become streamlined thanks to an innovative new resource designed specifically for underrepresented students.